<2014 CA State Convention – HOLLA! Free press? Free market? Free elections? And pie in the sky when you die. Emidio “Mimi” Soltysik of the Socialist Party of the United States is running as a candidate for State Assembly in the 62nd District. I have attached his own statement (see below) explaining how he was invited to the Long Beach office of the Los Angeles News Group on May 8 for a group interview of the candidates in order to decide on an endorsement. Though not able to attend in person, he participated by teleconference. Far from being given equal time to state his views and public policy positions, Soltysik was cut off repeatedly. 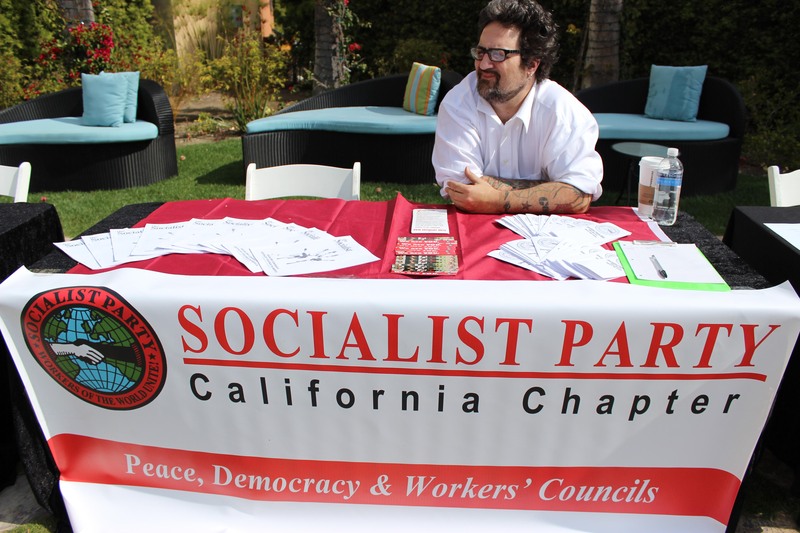 For the sake of full disclosure, I am also a member of the Socialist Party. That means I’ve just given readers more information than you will likely get from the great majority of big media editors and journalists who maintain the pretense of political objectivity, but are in fact members and propagandists of the capitalist parties. They thus serve as well oiled gears in the vast machinery of public relations for big business, and of the two big parties of corporate rule: the Democrats and the Republicans.